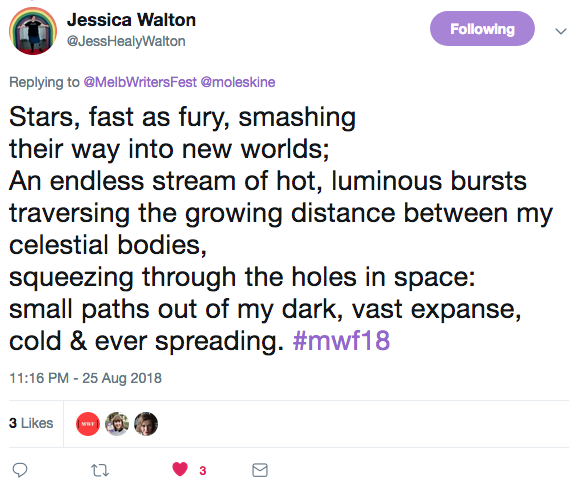 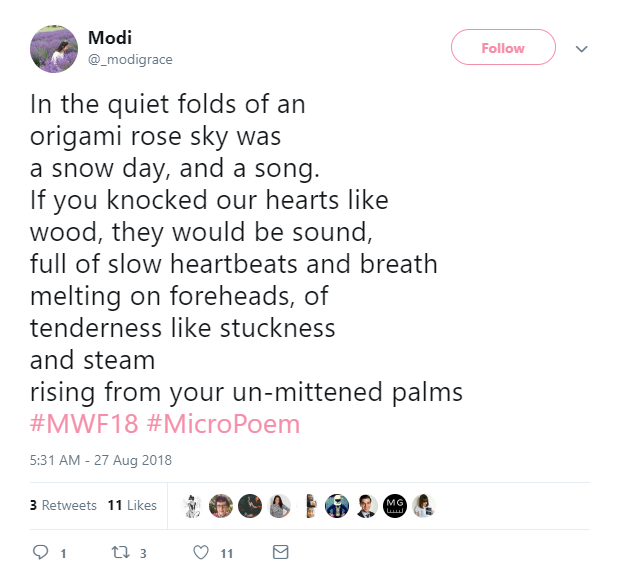 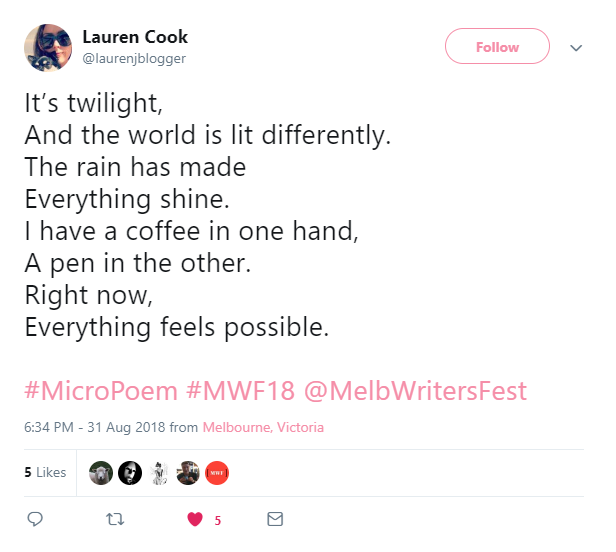 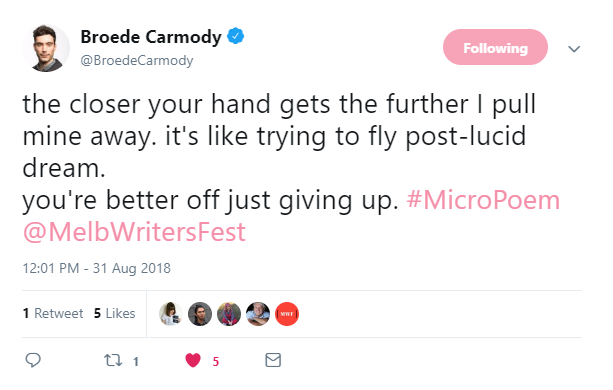 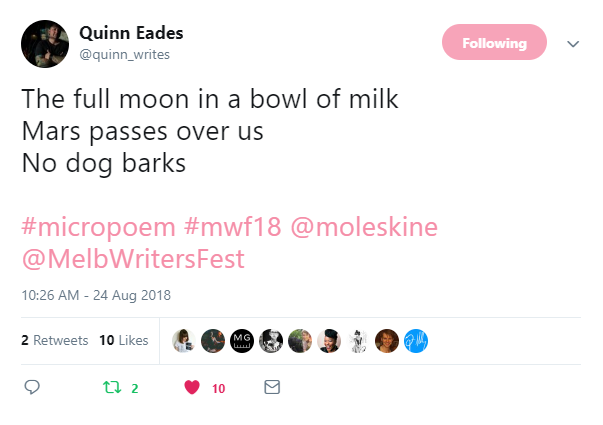 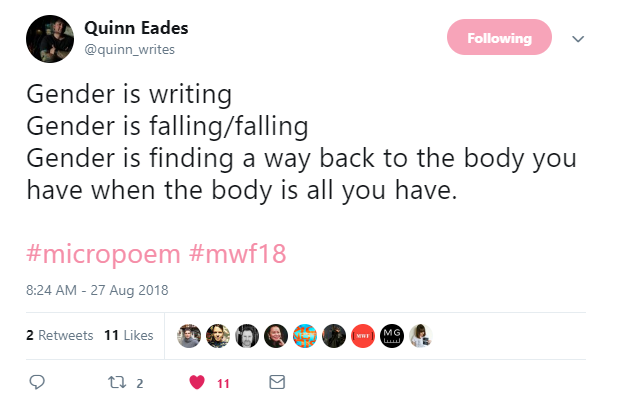 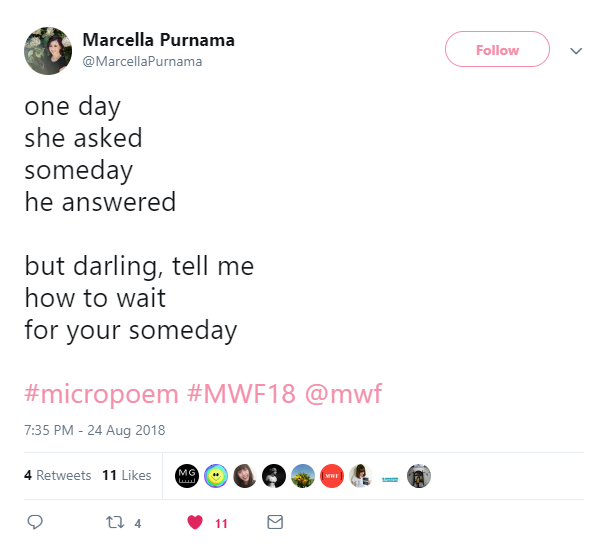 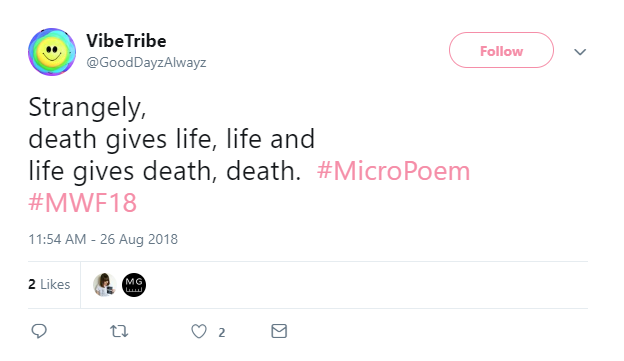 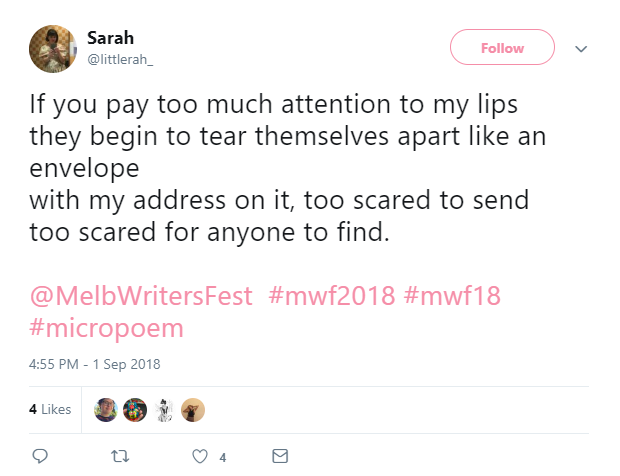 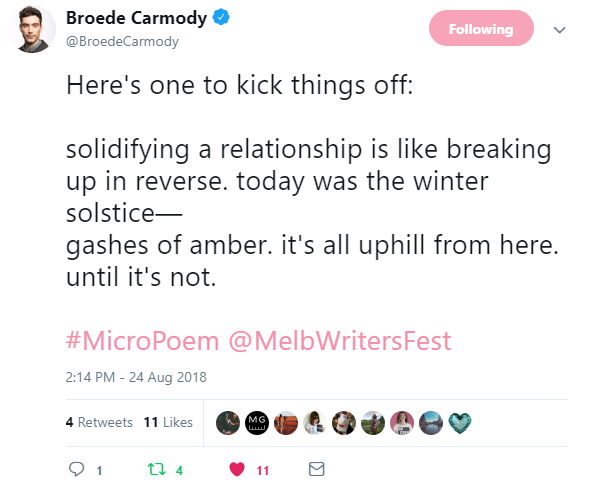 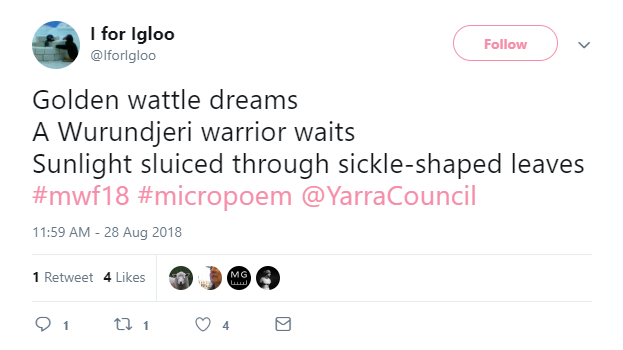 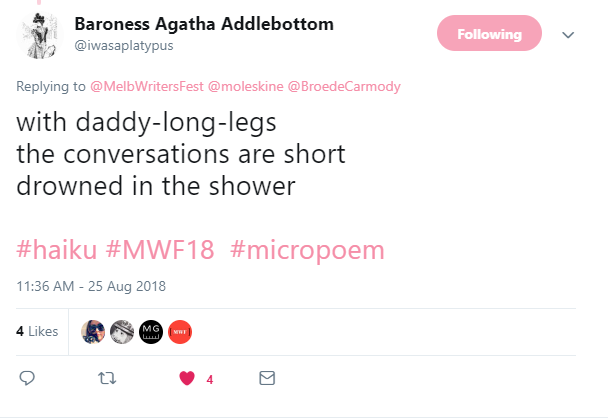 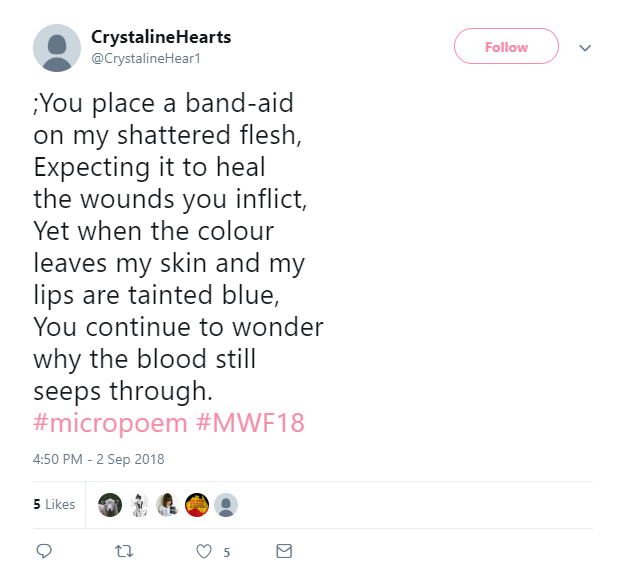 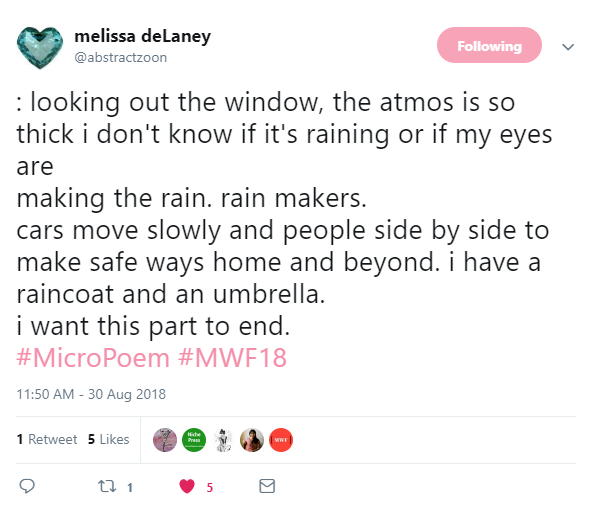 During MWF18 we asked for #MicroPoem tweets for a chance to win three Moleskine notebooks custom designed for MWF18, and you delivered! 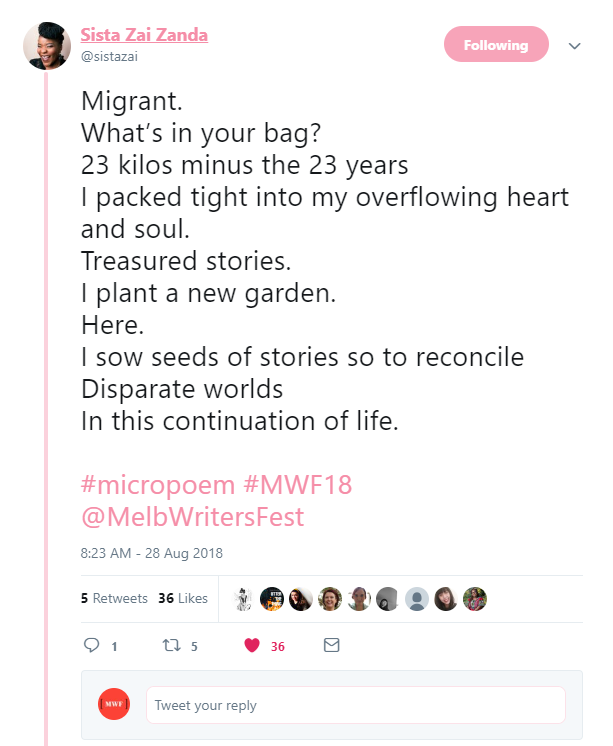 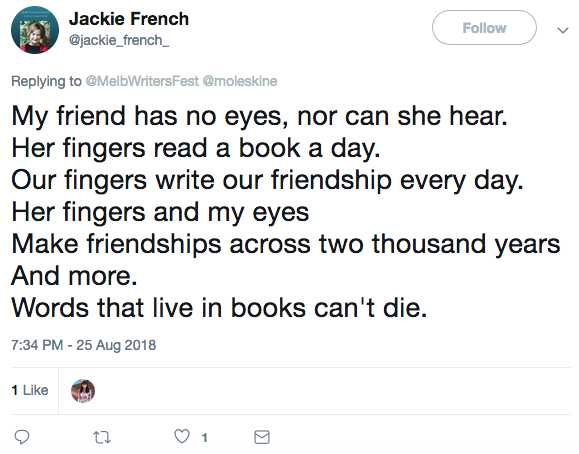 In 280 characters or less you told stories of love, optimism and change. 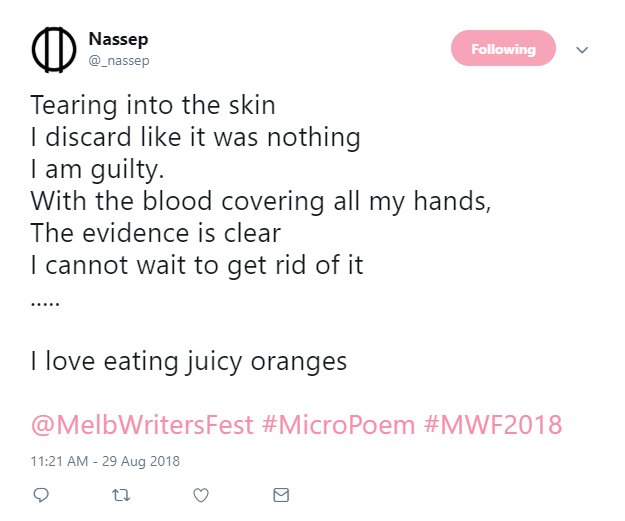 Have a read of our favourites.